I don’t necessarily mean that as a bad thing. The French election which swept Emmanuel Macron to power yesterday is a confirmation of the status quo in a troubled world: It strengthens the neoliberal hold on French politics, makes the EU more dedicated in its mission to unite a continent through trade, and also keeps the liberal agenda at the forefront of political culture. It’s not the best thing in the world, and indeed, on some scores, Marine Le Pen did indeed have a more in-depth promise for workers, and anti-globalised politics – but it’s indeed better for the country, and Europe, in context. A victory for a fascist, even one with some OK-sounding social promises, would have been devastating for global politics. Nevertheless, the inability to think beyond the political implications presented by elections means many people are already celebrating the death of fascism in Europe. Pardon me for this, but ha ha. The inability to think beyond the forms and oppositions generated by electoral contests is something that could lull France and Europe to sleep, only for it to be sucked into an actual fascist power-bloc in the next round of elections in 5 years‘ time. Why? Well, Macron is the status quo, and the status quo is rule by elite, rule by class violence and rule by old power. The idea that one could criticise Macron on the day he managed to rout one of Europe’s leading and most symbolic fascists, is not really appealing for some. 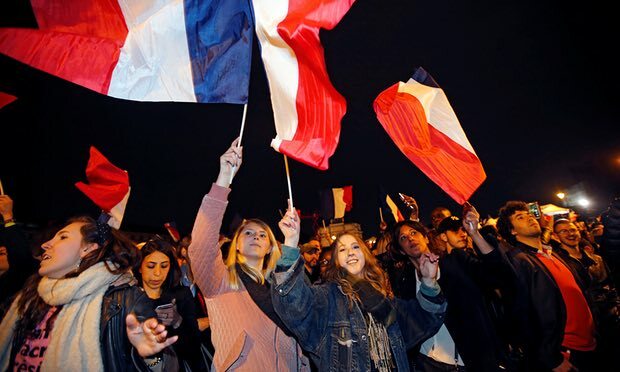 However, although Macron won with a margin of 66% to 34%, more than 1 out of every 10 French voter spoiled their ballot – and many more even abstained. That’s more indicative of a broken system than voting for Le Pen. The country has a chance to rebuild – and it has to do something to include more civic and everyday politics again. It has to reject this idea that working people belong either at the bottom, or foaming with rage at the sides. They need to be put right in the middle of things. Or else, we can expect another Le Pen run at office in 5 years time.